Dr. Gold’s® Ear Therapy provides gentle relief for fungal, yeast and bacterial infections, while cleaning, disinfecting and deodorizing the ear canal. Its medicated anti-fungal and anti-bacterial properties effectively reduces foul odors, redness and swelling, while also providing daily care maintenance for a healthy pet. If you suspect your dog has an ear infection, consult your veterinarian. 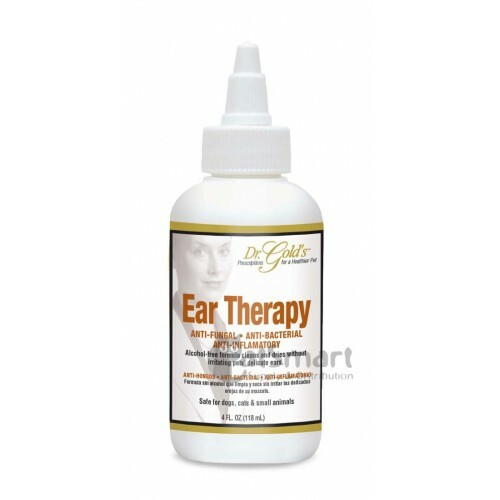 In-between visits, Dr. Gold’s® Ear Therapy provides gentle relief for fungal, yeast and bacterial infections, while cleaning, disinfecting and deodorizing the ear canal. Its medicated anti-fungal and anti-bacterial properties effectively reduces foul odors, redness and swelling, while also providing daily care maintenance for a healthy pet. Dr. Gold’s® Ear Therapy is also alcohol-free, so pet parents’ can clean and dry the canal without irritating pets’ delicate ears as frequently as needed. Medicated with Ketoconazole, Lactic Acid, Benzoic Acid, and Salicylic Acid. Safe for cats, too. 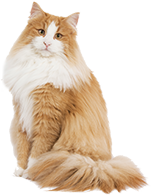 Also try medicated Dr. Gold’s® Itch Relief Spray, made with Lidocaine, Hydrocortisone and Allantoin to treat hot spots, irritated and inflamed skin areas. Purified Water, Stabilized Chlorine Dioxide, Sodium Bicarbonate, Potassium Sorbate, Sodium Benzoate, Tetrasodium EDTA, Methyl Paraben.